How to install Docker on Linux? 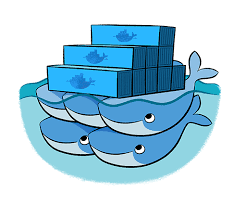 Are your ready to taste the awesome power of Docker? I hope you are. Because once you get your feet wet in Docker, you will be unstoppable :-). In this blog post, I want to quickly show you how you can install Docker on RedHat Enterprise Linux. The procedure should be similar in other flavors. First, login as root into your system. If you don’t have root access, you should at least have sudo access to root. How to enable colors in shell and vi in Mac? When working with shells, if your Mac does not show various colors automatically, you can enable them by two easy steps. First add a line as shown below to your .bash_profile. This file should be under your home directory. Second, add the following line in your .vimrc file. This file should be under your home directory. If it is not there, create one. Starting the JVM simply means starting the Java application. A Java application is started using the java command. There are numerous command line options for the java command. Here are some of the main ones you need to know. Virtualization is a technique using which you can run multiple Operating Systems (aka Guest) in a physical server (host) by abstracting (or virtualizing) CPU, Memory, Disk and Network resources. The core component of any virtualization solution is Hypervisor – the software that performs the abstraction of bare metal resources. The diagram below shows virtualization at a high level. In this part, let’s explore AppDynamics facilities for diagnosing Memory Leaks. AppDynamics provides two powerful tools to hunt down memory leaks. With Automatic Leak Detection enabled, Appdyanmics can capture objects that live longer than usual period – i.e long lived Collection objects that simply won’t get garbage collected. If your application is leaking memory, it is definitely one of these long-living, never-dying objects that cause the leak. Use the following procedure to make use of this tool.